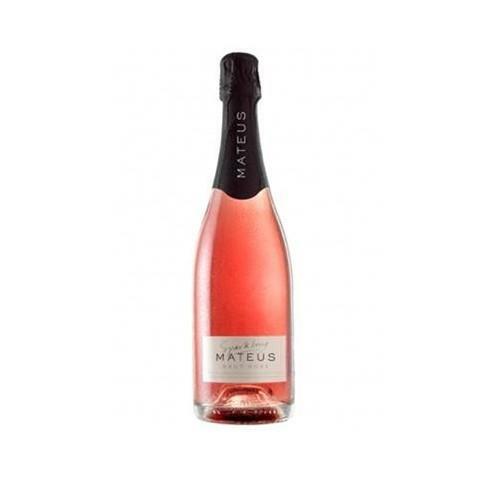 The winery Sogrape Vinhos elaborates this Mateus Brut Rosé ($10.93), a sparkling wine from Wines without Appellation (Portugal) from the baga grapes and shows an alcoholic content of 11%. At Uvinum, this sparkling wine scores an average rate of 4 of 5 points. - View: rose petal, beautiful and pale, abundant and fine bubbles. 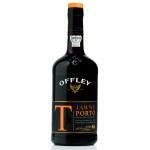 - Nose: Refined and fresh with floral nuances, pleasant aromas of apples, pears and raspberries. 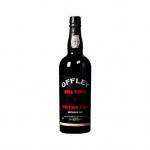 - Mouth: subtle notes of toasted bread, with a delicate fresh acidity and lively, and an aromatic end. WINE PAIRING: as an aperitif with delicious nibbles. It has a very nice colour. The final reminded me of bakery flavours. Fleshy, smoothy. This Douro accompanied us while waiting for food. 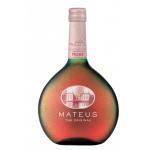 The Mateus Rosado Sparkling NV - Sparkling Wine, with 0. 75 Lt / 25 4 Fl oz bottle is a Sparkling Wine made in Portugal Beiras. If you want to buy Mateus Brut Rosé, at Uvinum you will find the best prices for Wines without Appellation (Portugal) sparkling wine. Get it now at Uvinum, quick and 100% safe via any device. We have a catalog of over 59.000 products for sale becoming this way the leading marketplace to sell wine, beer, and spirits in Europe with more than 38.000 satisfied customers.